Since its founding, the University of Kansas has embodied the aspirations and determination of the abolitionists who settled on the curve of the Kaw River in August 1854. 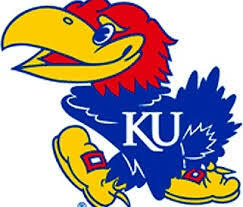 Their first goal was to ensure that the new Kansas Territory entered the union as a free state. Another was to establish a university.Nearly 150 years later, KU has become a major public research and teaching institution of 28,000 students and 2,600 faculty on five campuses (Lawrence, Kansas City, Overland Park, Wichita, and Salina). Its diverse elements are united by their mission to educate leaders, build healthy communities, and make discoveries that change the world.A member of the prestigious Association of American Universities since 1909, KU consistently earns high rankings for its academic programs. Its faculty and students are supported and strengthened by endowment assets of more than $1.44 billion. It is committed to expanding innovative research and commercialization programs.KU has 13 schools, including the only schools of pharmacy and medicine in the state, and offers more than 345 degree programs in 200 fields. Particularly strong are special education, city management, speech-language pathology, rural medicine, clinical child psychology, nursing, occupational therapy, and social welfare. Students, split almost equally between women and men, come from all 50 states and 105 countries and are about 15 percent multicultural. The University Honors Program is nationally recognized, and KU has produced 26 Rhodes Scholars, more than all other Kansas schools combined.The University of Kansas Cancer Center is the state's only designated National Cancer Institute. Eleven other major centers oversee research in life span issues, the humanities, transportation, the environment, biosciences, biodiversity, and polar ice sheets, among others. Strong Hall 1450 Jayhawk Blvd Room 230.